Port Macquarie Landcare Group has established a community nursery where the volunteers propagate healthy native plants indigenous to the area. These plants are all of local provenence that is grown from seed collected in the Port Macquarie-Hastings council area. 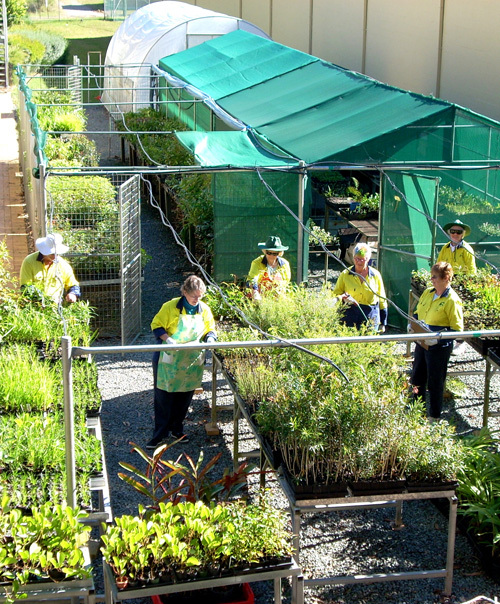 These plants are used on PMLG urban restoration sites and revegetation on private and public land. The prices are kept to a minimum thus adding value to grant money for environmental restoration. The volunteers work every Monday morning from 9.00am to 12noon. New volunteers are welcome to join the team of 10 when positions are available.